Green Lotus's 240-hour Summer Intensive Programs provide transformational opportunities for individuals to deepen their personal understanding and knowledge of yoga alongside those who are committed to teaching and leadership journeys. Together they create a dynamic, supportive community in which hard work, commitment, focus, and practice yield dramatic results physically, mentally, and emotionally. Students completing the training will have earned credentials that meet and exceed the standards of both Yoga Alliance and NETA so that they may become certified with those organizations. These courses have been adapted from our successful nine-month program launched in 2008, to accommodate people whose schedules demand immediate immersion and then quick re-entry, such as college students on summer break, parents who can find help with children only in finite, limited time blocks, employees who are able to use vacation days for bursts of time, and those individuals who understand that they learn most effectively by plunging themselves into a subject. In both formats, students will enter the fluid universe of yoga and will emerge ready to teach or to practice with more confidence and understanding. Each day's training will be steeped in learning asana (poses) around which will be wrapped the foundational aspects of the yoga tradition: philosophy, breath work, anatomy, meditation, the roles and boundaries of teachers and students, the energy (subtle body), and more. Dive into one of Green Lotus' Summer Immersion Programs. Immerse yourself in the stream and flow of yoga. Emerge stronger, healthier, and ready. Study for one week per month for three months in Mendota Heights. View 2020 Schedule. Study for two 9-day segments in a retreat-like setting at the farm in Wisconsin. Our 3-Week Summer Immersion program is held at our Mendota Heights location annually and at our Annandale location on alternating years. The Lazy I Ranch Immersion is held at the Lazy I Ranch near Clayton, Wisconsin. On-site lodging and a meal plan is available for a retreat-like experience. The complete series consists of one week per month for three months. A $300 deposit is due with your application. Pay in full by April 30 and pay $2700 - a savings of $200! Automatic Monthly Payments: $300 deposit plus $866.67 per month, total: $2900. Automatic Monthly Payment Dates: June 1, July 1, and August 1. *The training price includes the training and training manual. It does not include required books or Lazy I Ranch lodging or meals. ** Training may qualify for state-funded worker retraining programs - contact the Minnesota Department of Human Services or a state unemployment office for assistance. Located at 262 3 ¾ St outside of Clayton WI, this farm is 80 acres of chemical-free pastures and woods, and is home to a herd of grass-fed Scottish Highland cattle. 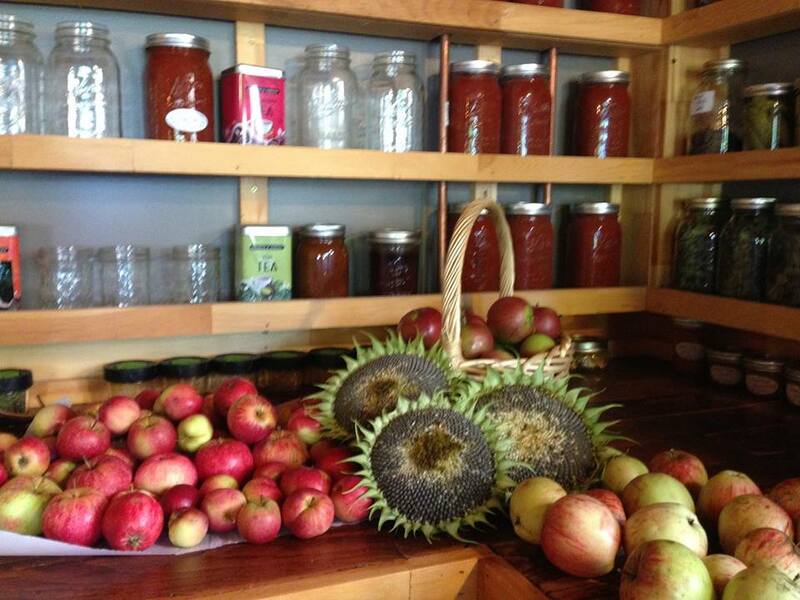 Green Lotus offers training in a hayloft yoga studio, in the woods, and around a community table. Lazy I Ranch is a working farm. During your stay you will be immersed in the simple living of daily farm life. The property is situated on a quiet, dirt road. It also contains 40 acres of woods with over 2 miles of mowed walking trails. Dozens of apple trees, berry bushes, and wildflowers line the trails. Deer, pheasants, eagles, and other wildlife sightings are a daily occurrence. The Scottish Highland cattle, chickens, wooded acres, and gardens will all be a part of your training experience. Discover how refreshing and healing it is to “unplug”. Students who choose the retreat option will share the guest house, a fully equipped 3 bedroom home with it’s own kitchen, bathroom, and living room. The kitchen will be stocked with a variety of breakfast and snack options to choose from. Catered lunch and dinner will also be provided for an additional charge. With our optional flexible meal plan you can fix your own dinners, just let us handle breakfast, or we let us provide all your meals. You pick the number of meals that will best suit your needs. All meals will include gluten-free and vegan options as needed. Breakfast and snacks: the farmhouse kitchen will be stocked with a variety of breakfast and snack options along with a tracking sheet to record what you choose each day. Totals will be added and charged at the end of each 9-day session. Lunch Option: $160 ($80 per 9-day session) or $12 per meal individually. Boxed lunches catered from Escape on 2nd. Choose from a daily selection of healthy salads, sandwiches, flatbreads, and wraps. Dinner Option: $180 ($90 per 9-day session) or $15 per meal individually. 7 dinners included: 3 catered dinners and 4 nights to prepare a shared meal with all ingredients and recipes provided. Two nights you are on your own to cook for yourself, eat leftovers, or enjoy one of the area’s restaurants.